Those renderings are slightly improved, but they do not look much better than what was released previously. I like the irony of the grammatical error contained within the text in the green star - "Come learn how you can become a Pro by utilizing the technical assistance options that's available at this event!" Should be ...that are available at this event. Talk about being a pro! I emailed the email address that was once on the United Artists Building/Residences @ 150 Bagley's website today asking if there was any update he could share with me. He responded by telling me they were still looking for financing for the project. I was told essentially the same thing when I emailed back in June, but he mentioned they were anticipating construction to begin in the fall with occupancy in 2020. That's pretty optimistic time framing if they still haven't secured financing yet. That’s what I was told last June, not yesterday. They anticipated work to begin by fall 2018 with occupancy in 2020. Oh I see. Still, that time frame seems pretty short for a building of that size unless they're going to make units available before the whole building is converted. Dan Gilbert's real estate company bought the Herman and Ben Marks Furs building Nov. 13 for $3.85 million. Bedrock Chairman Jim Ketai confirmed the 1211 Griswold St. sale to Crain's, but declined to comment on the purchase price, which was listed in public record. The seller was Griswold Lofts LLC, an entity registered to Scott Housley, according to Detroit public records. Plans for the Herman building haven't been solidified, but it will likely require improvements, Ketai said. He could see the finished product as residential, "because that's what fits best in Capitol Park," but the decision on usage hasn't been made. 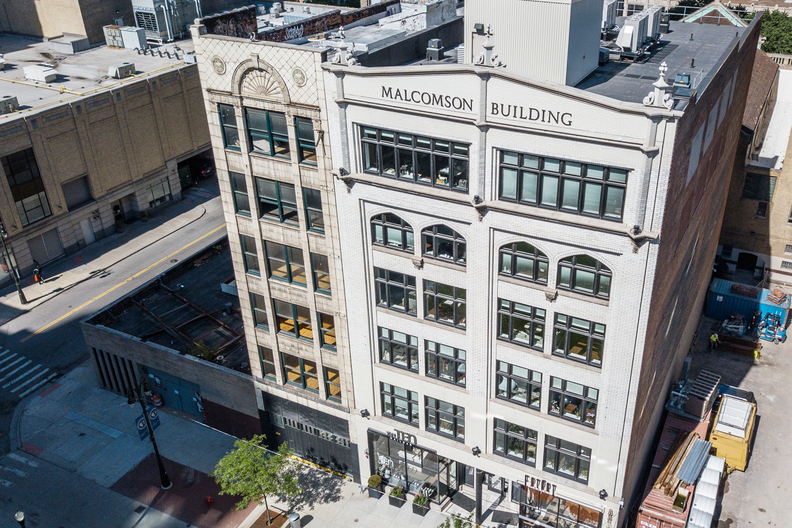 It neighbors the Bedrock-owned and renovated Malcomson Building to the north. Bedrock is studying the option of connecting corridors in the two buildings so they could share some stairs and elevators, Ketai said. 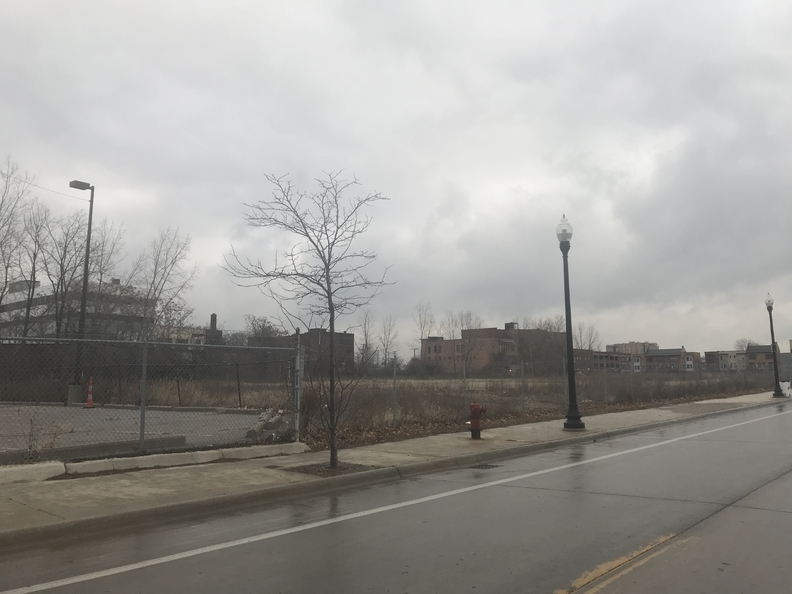 Dan Gilbert is on tap to develop 2.75 acres of east Detroit riverfront land after a quiet $5 million sale involving one of the city's most vociferous bankruptcy creditors, Bermuda-based Syncora Guarantee Inc. The sale of eight parcels on Franklin, Atwater and Guoin streets to Atwater Owner LLC for $1.82 million per acre was recorded with the city in November. The Economic Development Corp. was the seller. Those parcels — 1303 East Atwater; 1325 East Atwater; 1365 East Atwater; 1399 East Atwater; 1310 Franklin; 1340 Franklin; 1364 Franklin; and 1370 Guoin — are identified in an offering memorandum obtained by Crain's in March 2017 as being about one-quarter of the 11.65 acres of east riverfront land a subsidiary of Syncora, Pike Pointe Holdings LLC, received development rights to as part of its 2014 bankruptcy settlement with the city. A spokeswoman for Gilbert's Detroit-based Bedrock LLC real estate development, management, ownership and leasing company confirmed that Atwater Owner is a subsidiary. 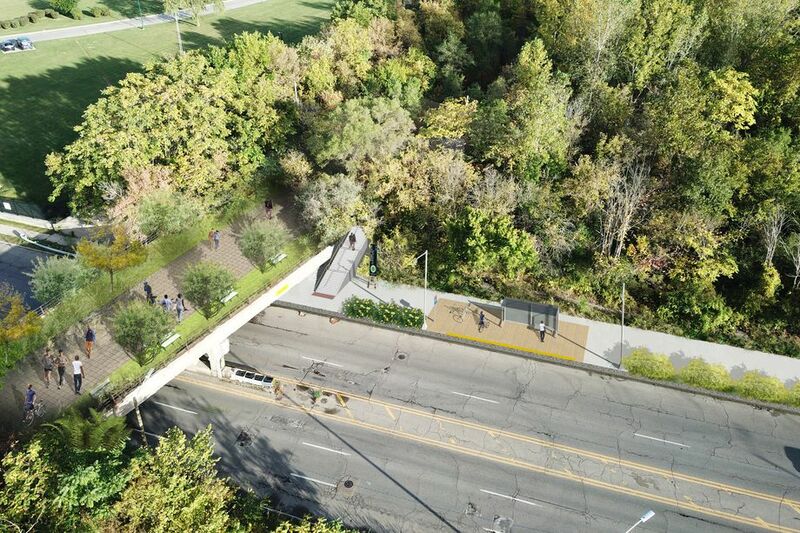 Over the next few years, a 31.5-mile bike and pedestrian greenway will connect many neighborhoods in the city, including Highland Park and Hamtramck. Named after boxing legend Joe Louis, the greenway will include existing paths and bike lanes, along with new greenways. This Saturday, January 19, two community meetings are scheduled at Palmer Park so residents can learn more about the design process and provide input to the city. The meetings will be at the Palmer Park Community Building from 11 a.m. to 1 p.m. and from 2-4 p.m.
Pre-demolition abatement has started on Joe Louis Arena. The video shows a time-lapse of half of the stadium being sealed off. Neat find. Homrich is a big outfit, but this abatement and demo project is good publicity for them and I understand why they would want to showcase it. It's the end of an era, and I'll miss the Joe for some reasons, but it's neat to see this behind the scenes process that usually is not publicized much. I never even thought about the abatement - I assume those shots in the video are of a bunch of exhaust fans with HEPA filters. Any clue why they had to split / seal the arena in two? My only guess is that it relates to demolition sequencing somehow (so they can finish abatement on the first half, move on to abatement on the second half while other demo activities can then go on in the first half). And thumbs up to whomever tried to roll a camera down that chute, at about 30 seconds in - fail! I assumed sealing the stadium in half would have been normal procedure just because of the volume of space. The tail end of the video also makes me think it's to do with logistics because trucks can be seen entering the arena which likely helps to expedite the removed material. If the whole stadium was done at once, you'd probably need more trucks which would have to wait on the street outside which would have probably caused logistical issues with the Auto Show going on next door at Cobo simultaneously. Stadia as disposable and/or having inherently short shelf lives to me is so strange. What a waste of resources. 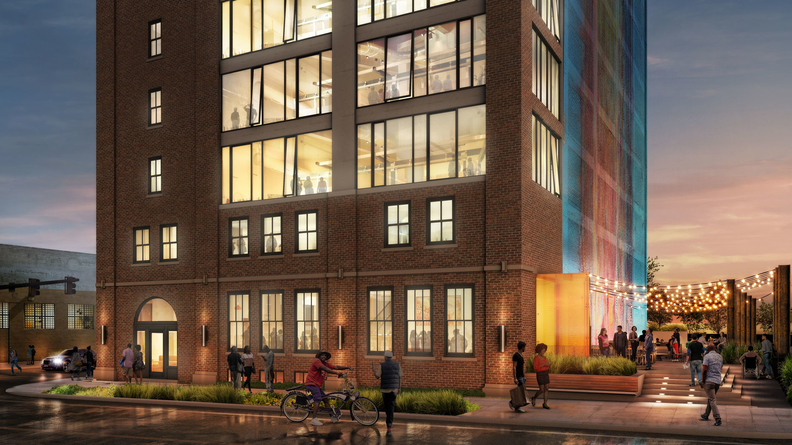 Element Detroit is slated to open its doors on Monday, offering visitors an extended-stay hotel downtown. The eco-focused hotel is inside the historic Metropolitan Building at 33 John R. Its opening comes one month after officials gathered to celebrate the restoration of the Neo-Gothic building that had sat vacant for nearly 40 years. Michigan officials are moving to make over a key state-owned property along the Detroit River to link to a larger-scale revamp of the riverfront long plotted by the city and nonprofits. New concepts for William G. Milliken State Park and Harbor include a marina promenade, peninsula playfields, and a dry dock ship, plaza and pool. The plans were displayed in a public meeting Wednesday night at Orleans Landing, an apartment complex adjacent to the park, which is just east of downtown along Atwater Street. The three concepts vary in scope, but all seek to leverage the area's natural beauty, history and proximity to the riverwalk and Aretha Franklin Park. Construction on the reimagined 31-acre space could start as soon as this fall. Techstars Mobility is now known as Techstars Detroit and will move its operations from WeWork Merchant's Row on Woodward Avenue in Detroit to Lear Corp.'s Lear Innovation Center at 119 State Street in Capitol Park as part of partnership with the supplier. Techstars has been at WeWork since May 2018. It moved there after three years in office space at Ford Field. Ted Serbinski, Techstars Detroit managing director, said the new space offers an open floor plan more conducive to its programs than the WeWork space. Lear is providing TechStars Detroit with approximately 4,573 square feet of space on the third floor of its Innovation Center as part of the partnership. Lear joins Ford Motor Co., Honda North America Inc., AAA, USAA, Nationwide Mutual Insurance Co. and the state of Michigan's PlanetM as corporate sponsors of the Techstars program. A historic school building in Detroit's Midtown is pegged for a $21 million redevelopment into a "business ecosystem" for entrepreneurs, startups, artists and residents. Denver-based developer Q Factor is planning to transform the 103,000-square-foot Thomas Jefferson Intermediate School into creative office space, it announced Tuesday. The company is partnering with Invest Detroit and planning and development nonprofit Midtown Detroit Inc. on the project. Construction on the $16 million project to redevelop the building sometimes referred to as the Bleeding Rainbow building, is expected to be done by the end of the year, according to a news release by Detroit-based developer The Platform LLC, which is active in Detroit neighborhoods and along the Grand Boulevard corridor. The first two floors of the 1913 building at 2937 E. Grand Blvd., which is being rebranded as Chroma, will get a public market by West Palm Beach, Fla.-based Grandview Public Market, which "will feature 14 chef driven concepts, most of which are locally owned," the news release says. A full bar with beer, wine and cocktails is also planned as part of the project. Pittsburgh-based Beauty Shoppe will offer 15,000 square feet of co-working space on the seventh and eighth floors, its first effort in Michigan. Akin to WeWork, Bamboo Detroit and others, Beauty Shoppe will offer amenities such as dedicated desks and private offices on a month-to-month membership structure. Detroit — Residential property values in 2018 rose in more than 90 percent of Detroit’s 194 neighborhoods, Mayor Mike Duggan announced Tuesday, saying it's a sign that revitalization efforts are impacting more areas of the city. The average increase in residential value citywide was 12 percent, with several neighborhoods seeing gains of more than 20 percent, according to data released Tuesday by the City Assessor’s Office as part of its annual proposed property assessment changes. "The cleanup of the interior of administration building continued this summer," van der Velde said. "In 2019, we’re planning on doing roof repairs." While the administration building is expected to be occupied by 2020, the entire development could take as long as 15 years, van der Velde said. ^2020 seems a little fast. I guess we'll see. 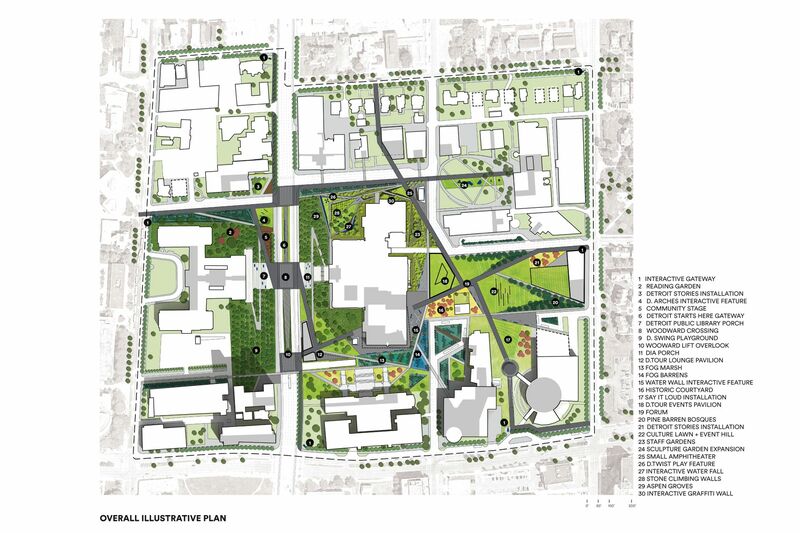 Detroit — Three design teams competing to overhaul the 10 blocks around the Detroit Institute of Arts into a walkable "cultural campus" were told to think big and innovative. On Wednesday, the public got its first chance to decide whether the teams succeeded. Renderings of the finalists' plans went on display at the DIA, and the images reveal ideas that go beyond green space and bicycle/pedestrian paths. There are proposals for amphitheaters, a "fog garden," a permanent outdoor DJ booth, an "interactive graffiti wall," an outdoor children's reading area, cafés and a Brush Street hotel. Here's a blowup of that map. I can see what they're going for, but... I'm not a fan. Parts of the plan make sense, but as a whole I don't feel like it creates that 'connectivity' they're going for. It's not like cultural centers by themselves have a lot of traffic; museums and libraries aren't exactly hot spots of activity unless there's already an event or exhibit going on (which isn't all the time). Making John R and Brush street two-way makes sense since neither street carry the amount of traffic they were designed for, but cutting John R off just seems awkward and arbitrary. Vacating Farnsworth and Putnam make sense since they mainly just provide connection to local parking, but then why not give the same treatment to Kirby? Sprucing up the space around the DIA and the Library looks good although I'm confused as to why they seemingly did only half of the Library's lot. I don't think adjustments to Woodward would make a difference since there's little issue in crossing it. Warren is usually the road with higher pedestrian-vehicle conflicts and would have liked to see something done there. I also would have liked to see the DIA's parking opened up for development instead of parkspace. Overall, I don't think this plan (as well as the other finalists' proposals) really add walkability or connectivity to the area, though it does at least add interesting variety to currently empty spaces. Like I've said, elements of the proposals are good, but as a whole, it could probably be done better. Though that may not be the complete fault of the designers and probably more to do with the jankyness of the urban planning that already exists for this neighborhood. Like really, there should have been a unified plan on how to develop this area 60 years ago. ^The Mikyoung Kim design is much better. Some shots from the new development on Gratiot. I've seen it referred to as "Gratiot Commons" or just 8900 Gratiot and 9100 Gratiot. It’s a massive improvement over the vacant lots and abandoned car repair shop that used to be there. It will be good for the area and it reinstalls the street wall that used to exist there. Definitely could have been much worse. I think we should be glad there’s developments like this occurring in areas that really have seen no new developments in decades. All times are GMT. The time now is 2:57 PM.